Tonight the winner of the Giller Prize will be named in Toronto, Canada. 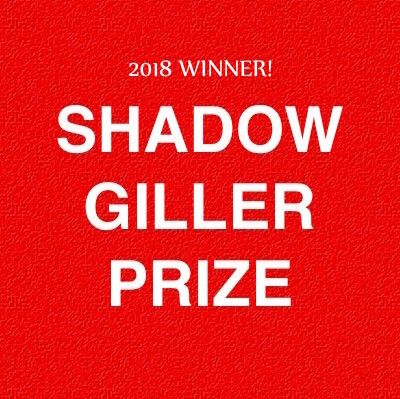 In keeping with tradition, the Shadow Giller jury named our winner yesterday. You can see our announcement on KevinfromCanada’s blog. I’ve been shadowing the Giller Prize for seven years now and this is the first year the jury has unanimously agreed on the winner. We didn’t even have to discuss it: we all ranked it right at the top of what turned out to be a surprisingly strong and robust shortlist. As luck would have it, I’ve been so busy lately (with two separate trips to Dublin and a heavy workload) that I haven’t had time to review our winning title yet. I can tell you that it is an amazing book, quite unlike anything I’ve ever read before. It’s an amazingly rich and ambitious novel, multi-layered and focused on storytelling, the lies, legends and mythology we create within families, and the ways our lives are littered with coincidences and small incidents that later take on bigger importance even if we don’t know it at the time. It’s safe to say it knocked the others right out of the ballpark. It will be interesting to see whether the official jury chooses the same book as the Shadow jury… stay posted for an update. UPDATE — TUESDAY NOVEMBER 20: Congratulations to Esi Edugyan, whose novel Washington Black was named winner of the official Giller Prize last night. It is the second time Edugyan has won this award; she also won in 2011 with Half Blood Blues. You can read my review of Washington Black here. It’s taken me three weeks to read, so it requires quite a big commitment but I think it’s worth it. Goodness knows how long it took the translator to translate! Who cares what the official judges choose! The reviewers I trust have spoken! Unanimous agreement – what an endorsement! The book sounds a big commitment but worth it. Dupont’s novel won each of us Shadow Jurors over completely, but Edugyan is accomplished and talented too, and I would hope that everyone read both books (and much of the longlist too, for that matter – I read all twelve of them). Anyone curious about the other Shadow Jury members’ reviews of Dupont’s novel can find Naomi’s here and mine here. Looking forward to your review when you get to it, Kim! Wow, I’ve never even heard of Song for the Cold of Heart before! Sounds really unique, and amazing that all four of you picked it as a favorite. I may have to look this one up! Also interested to read Washington Black, have been meaning to try that author ever since the Half Blood Blues. Not enough time in the day for all the books!